We live in a society obsessed with weight. In North America, people spend billions of dollars to stay slim, be trim and lose weight. All the while, obesity is a growing public health problem. Within the past three decades, Canada’s obesity rate has tripled: more than half of adult Canadians are overweight or have obesity (in Alberta, that statistic is six in 10). Health experts warn that obesity is associated with chronic health conditions such as diabetes, heart disease and depression. Research shows that children who have obesity are at the highest risk of developing these and many other health issues later in life. Alberta is on the forefront of a global effort to understand the complexities of this chronic disease and provide better care for all affected. Across the province, health researchers from a wide range of disciplines are collaborating to find out why some people develop obesity, which treatments work best, and how we can prevent the disease, especially in children and youth. Researchers are also examining how the healthcare system can help patients get the supports they need to eat better, move more and improve their wellness. Behind the scenes, Alberta Innovates is driving and coordinating many of the province’s efforts to understand, prevent and treat obesity. Forhan is with the University of Alberta’s Faculty of Rehabilitation Medicine, where she researches the stigma faced by people with obesity, as well as other barriers to health and wellness. One current project examines how patients with obesity experience hospital stays. Poor nutrition is a risk factor for obesity and how we eat is about much more than individual choice—especially when it comes to children and youth. “Unhealthy foods are readily available, heavily marketed, very accessible, and cheap. Finding a healthy choice isn’t as easy as you might think,” says Dr. Kim Raine, PhD, a public health researcher at the University of Alberta. Since 2015, she’s been leading a research project that evaluates how communities promote healthy eating and issues a yearly ‘report card’ to the public. As well as looking at the physical environments affecting children (such as the food choices available at schools and recreation centres), the report looks at other aspects, such as the messages children receive about food (especially from advertising) and economics (which influences how families shop for food). Last year, the province received a failing grade overall, but Alberta’s 2017 Nutrition Report Card gives the province a ‘C’ for its efforts to help kids eat healthy foods. “It’s a passing grade, but we have lots of room to improve,” Raine says. A growing body of research shows countless benefits to exercising during cancer treatment, says University of Alberta researcher Dr. Margaret McNeely. On top of helping people feel better during treatment, activity can help maintain or minimize the loss in muscle mass caused by some cancer treatments (especially breast cancer). This is especially important for cancer patients living with obesity. Unfortunately, all cancer patients tend to be less—not more—active during treatment. “I think most people want to exercise, but I don’t think they know what or how much exercise is safe for them to do when feeling unwell,” says McNeely, a researcher with the Faculty of Rehabilitation. McNeely is leading a five-year research project to evaluate how patients benefit from cancer-friendly exercise programs. 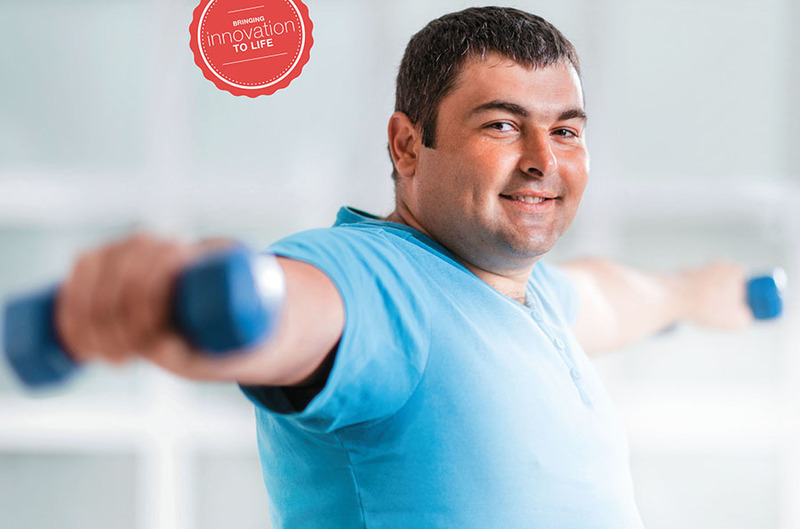 The Alberta Cancer Exercise Hybrid Effectiveness Implementation Study (ACE) will connect 1,000 cancer patients to exercise programs at YMCAs and city fitness centres across the province. Researchers will study how the exercise and activity helps patients’ quality of life, cancer symptoms, fitness levels and more. While they will track each patient’s weight and waist circumference, this isn’t the focus of the research. “It’s not a weight-loss program—it’s about being fit, which is important for your health, regardless of your BMI,” McNeely says.